An invoice, often called a bill, is a document that records a transaction between a buyer and seller. The seller issues the voucher to the buyer when the sale of goods or services is rendered in order to notify the buyer that payment is due. In other words, it’s way for a seller to identify the buyer, detail the transaction, and tell the buyer how much is due for the transaction. Both the seller and the buyer keep a copy of the invoice for their records in case there is a product defect, payment discrepancy, or question about the terms of the original transaction. Here’s an example template that you can use to create your own. I also have several different types listed below. 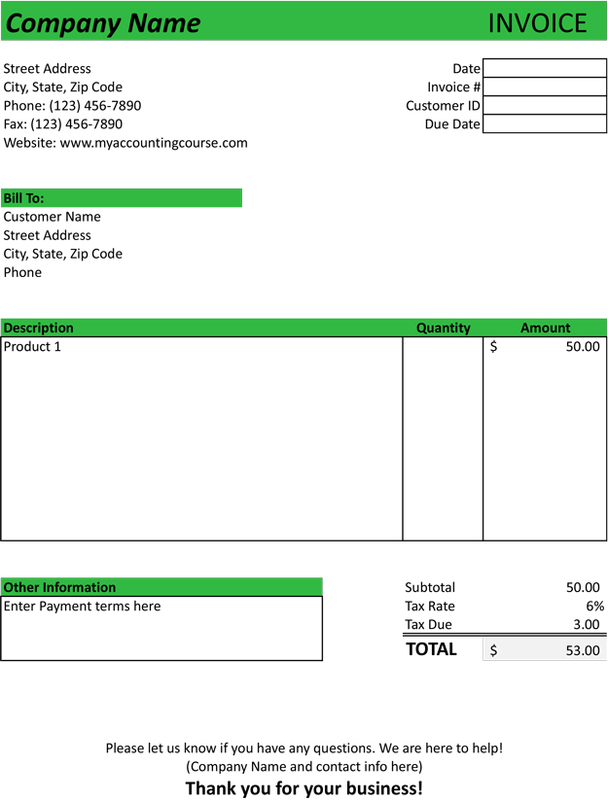 Here are a number of different free printable invoice templates in PDF and Excel format that you can use for your business or homework problems. I’ve also included explanations of each that detail how they are used in business and commercial activities.